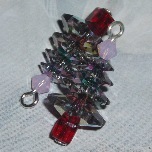 Handmade Swarovski Crystal Christmas Tree earrings in a selection of colours using margarita, cube and bicone beads. 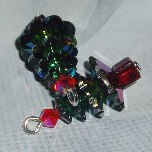 These are my own design and they have Sterling Silver pins and earwires. 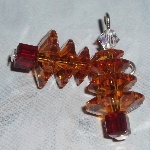 So sparkly and elegant, these earrings will become favorites for years to come. So much brighter and nicer in person. 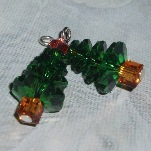 Earrings below are Red Magma, Fern Green, Vitrail Light, Vitrail Medium, Crystal Copper, Peridot. 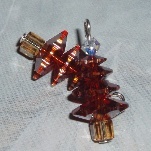 Get your Swarovski Crystal Christmas Tree earrings soon as crystal selection is becoming limited.